In today’s world income are limited but desires are endless. This desire many time inspire us to take additional debt either by using credit card or by personal loan. We would like to make yourself aware that any debt taken by you is liability which will cost you money. We advise you not to take any personal loan unless it is extreme situation. 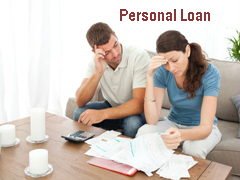 Keep personal loan as your last option to avail your immediate cash requirement. Personal loan can be used for any purpose including medical expense, marriage expense, home improvement, purchasing house hold items or to pay your credit card debt. Best part is that you need not to inform to bank about purpose of taking personal loan. In this way personal loan is all purpose loans. In home loan, car loan or education loan you have to prove that you will be using this amount for said purpose only. Personal loan has one additional advantage that processing time of this loan is faster compare to any other loan. Most of the bank do not ask for any guarantor or any security deposit for this type of loan. Due to this you might be thinking that this is best loan option but believe me this is worst loan option. Let’s discuss in detail that why you should think of personal loan as last option. Interest rate charge by bank under personal loan is 14-18%. Let’s understand the fact by taking example. Mr.X has urgent need and he take personal loan of 5,00,000 Rs/- on interest rate of 17%for the 5 years. 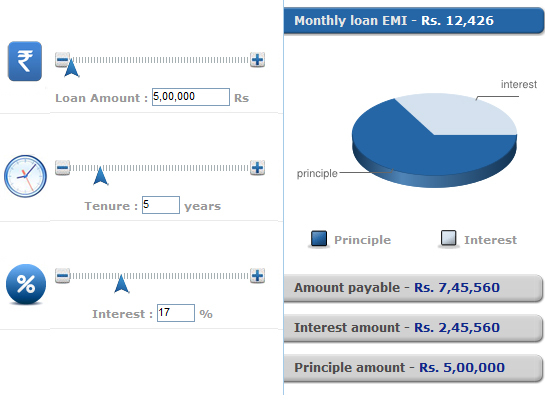 Effective EMI for this loan will be 12,426 Rs/-. Most lenders don’t allow part payment of loans. This means you end up paying the loan for the entire tenure of the loan. It can work out quite expensive, since your initial installments go towards interest payments. Some banks allows prepayment but they keep very high penalty for the prepayment of the loan. These loans are only approved if your financial credibility is positive that is you have the ability to return the loan amount. Many banks keep certain hidden charges which make this loan more costly. Most of the borrower forget to read offer document / terms and condition and may end up paying more. If you cannot afford to make repayments when they are due, you may face a penalty. If you default on the loan, your credit rating and ability to access credit in the future will be detrimentally affected and you may even land up in legal trouble too. It is usually advisable to stay away from debt but if you have pressing need of cash & you can afford to repay it in short period of time it is advisable to take loan against assets like gold or property compare to personal loan. Lastly, decide if you can stay away with any loan. While this loan may be useful in certain instances like medical emergencies, it doesn’t make sense if you are using it to on your vacations or any other fun making expense. Do share what you think about taking personal loan?